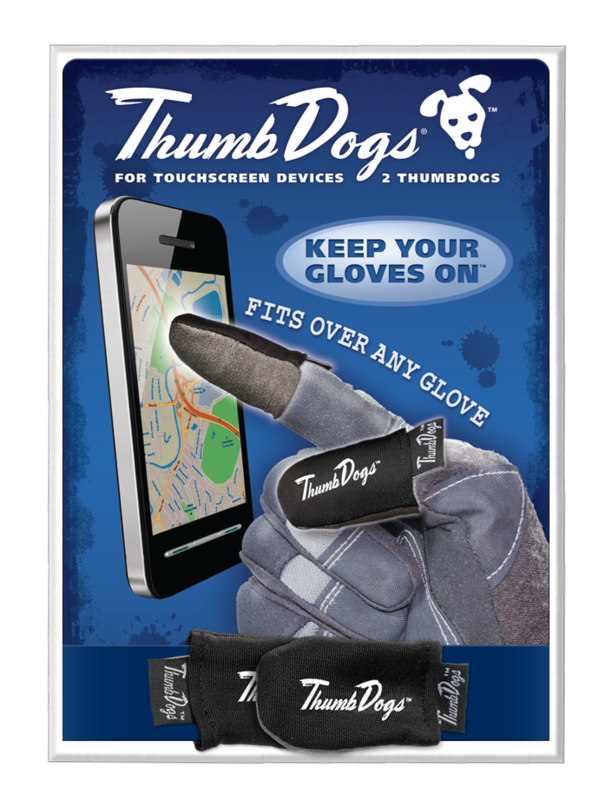 ThumbDogs turn any glove into a touchscreen glove. They were created so you don’t have to take off your gloves when you want to use your a digital touchscreen device such as, smartphone, GPS, e-reader, gaming console, ATMs, e-tablets, cameras, etc. Now with Grrprr and Leash technology! Grrprr is a friction-enabled coating applied to the inside fabric of ThumbDogs that provides more stick to your gloves to help prevent slippage. Leash is our newest enhancement that adds that extra level of security to keep your Dogs close to your fingers and your touchscreen capabilities working. Just adjust the velcro-strapped leash around your gloved finger and connect with confidence. No worries about over tightening, ThumbDogs fit just right! With ThumbDogs you can keep on your favorite, comfortable pair of gloves. 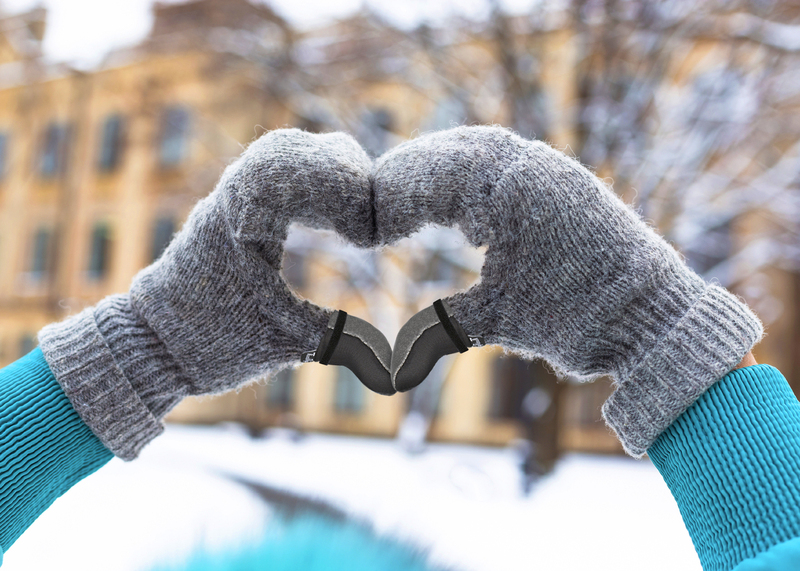 Just slip some ThumbDogs over your existing glove tips and stay warm, stylish and connected. 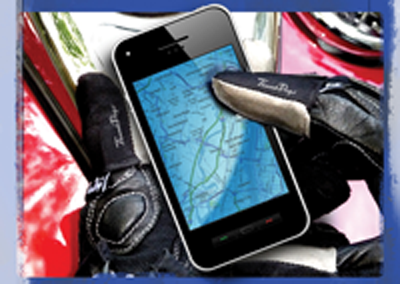 Instant touchscreen and texting gloves! 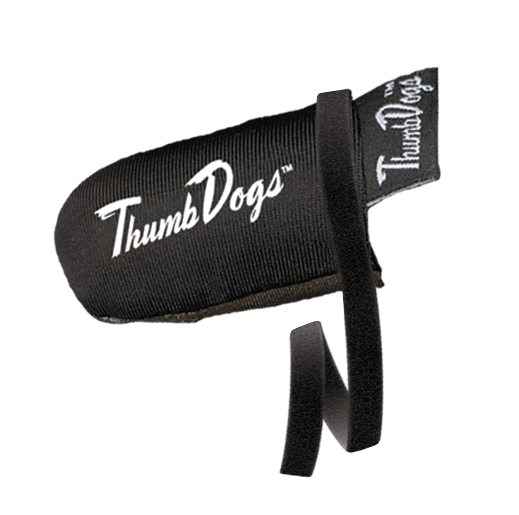 ThumbDogs come as a set of 2: A special conductive material on the tips enable you to interact with your smartphone. They retail for $14.99, plus shipping & handling. Much less than a touchscreen texting glove. So easy to use – just slip them over your glove tips, pull tight, tighten the strap (without cutting off the circulation) and start connecting.